I read a status of a good friend on Facebook. She decided to do new intentions for 2010 instead of New Year's Resolutions. I liked that! We go through so many areas of our lives with good intentions... mine is vacuuming a room without 17 side tracks that leave the cord strung across the floor... AGHHHH I hate to see that. The cord does get wrapped in place, the vacuum gets put away and all is well. That works for me. What intentions are you planning on using in your daily path? Life is an avenue that we walk, sometime run/jog and often trip. Lessons are learned and wounds heal when that happens. But the fresh air and exercise of moving forward are rewards in themselves. 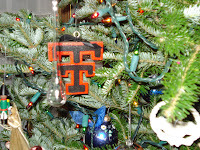 Have a great 2010 and keep us informed on your thoughts. The time of year is quickly coming upon us when many of us start to think about how we can better ourselves during the new year. To start thinking about any changes I might want to make in 2010, I pulled this article out of MilitaryAvenue's archives: "The American Psychiatric Association Offers Tips for Attaining Your New Year's Resolutions". Military Spouse? Try These Job Search Success Tips! I hope this new year finds us all happy & healthy! Some of us are far away from loved ones and this is one of the easiest times of the year to miss them. Others have recently enjoyed a reunion of loved ones. Some have traveled across the country to be with the family & friends they treasure. All things I have done through the years! No matter what your situation I hope that you can find the peace; the joy; the wonder, amongst the chaos. Wishing you and yours the Happiest of Holidays. PS: Looking for something fun to do today? Checkout the NORAD Santa Tracker. My boys were excited this morning to see that Santa is /already/ on the move! The Department of Defense Roundtable hosted General Walter "Skip" Sharp this morning to answer blogger and online media questions about the current situation in Korea. General Sharp is the Commander of United States Forces Korea and he opened with his three priorities. A quick rundown of the priorities include the ability to fight and win, strengthen the alliance between the US and S Korea and improve the quality of life for military personnel and their families arriving in Korea! My focus will be on the General's quality of life priority which has a direct impact on the military community's lifestyle and support in Korea. When the General arrived in 2008 there were 1,700 command sponsored families in country. Today there are 3,700 and by this time next year there will be 4,900. By 2016 they would like to have 6,000 families command sponsored with the final goal of 14,000. The General stated that he does he have the budget for infrastructure improvements to support the military families due to several reasons. First, many of the outposts in Korea are being consolidated from locations of units from the end of open hostilities to more centralized locations such as Camp Humphrey and Osan Air Base. Second, the South Koreans have agreed to pay for these relocations and many of the improvements are already occurring. It will take 5-6 years to complete the build up. Housing and medical facilities are on track to meet deadlines but the General said the "long pole in the tent" was school facilities. They are working with the DODDS (Department of Defense Dependent Schools) folks to upgrade facilities and provide teachers for the families as they arrive. As more families arrive in Korea, I asked if there were going to be command interest in military spouse employment. The General assured the Roundtable that he was personally involved in this issue and had started a spouse employment iniative a year ago. The spouses arrive with a visa that allows them to work in the Korean economy and the Korean Chamber of Commerce is working with the Command to assist with employment opportunities as well. The on post/base jobs will also provide more opportunity on the installations as they are built and open their doors! As schools have larger populations the qualified spouse teachers will receive opportunity there as well. General Sharp provided a great forum for all of us and I certainly appreciate his time and efforts to keep the military community informed through the Roundtable process! To listen to the 30 minute Roundtable go to DoD Live. It is Tuesday. It is snowing. It is dark gray and cold. Company is coming for lunch. Our driveway is a bear to climb and make the turns. So, a warming, aromatic entry will calm the nerves of those who came fishtailing at idiot speeds up the drive. I know my friends! Today there is a pot of soup simmering on the stove. As I have said before, dishes are my passion... so the opportunity to use some deep red pottery bowls is a bonus! With a basket of sliced bagels the vegetable soup is going to be great! Heat a heavy 2 quart pot to which you have added 1 1/2 T olive oil. Slice up 1/2 onion and chop into small pieces... the size you would like to feel in your mouth. Slices would not be appetizing. They need to be chopped. Add these to the pot along with 2 mushrooms that you dice to the same size as the onion. Allow to caramelize for 10 minutes, stirring often. Add diced celery to this at the 8 minute point. Add herbs and pinch of salt. Add bouillon cubes and diced leftover vegetables. I you have left over broccoli, wait until almost done before adding, as you do not want to overcook broccoli. Add water, tomatoes and bring to a boil lower heat and cover with lid. Allow to simmer for 1 hour. Add cut up left over pasta and broccoli. In a separate mixing bowl, stir ranch dressing and Parmesan cheese. Ladle hot soup into mixing bowl, stir to combine. Add one more scoop to heat the ranch mixture. Then pour back into pot. Serve immediately. It is good, it is filling, it is healthy! Enjoy the warmth. This afternoon Dale and I, along with Stars and Stripes were invited to participate in a roundtable discussion: an open arena to ask questions, and listen as U.S. Navy Capt. Lori A. Laraway, coordinator, Navy’s Operational Stress Control (OSC) Program and U.S. Navy Lt. Cmdr. Bonnie R. Chavez, Navy's Behavioral Health Program Manager Navy Suicide Prevention and OSC policies received our questions. Stress in the military? Stress in our world? None of it can be taken lightly, and the program which the Navy has set up to move forward to meet the needs of sailors today is a generational learning series of steps. From first days at boot camp, sailors can learn about how they are being equipped to be World Class Athletes. Their lives have value and are worthy of our country's respect. The USN is willing to build and support each sailor with the confidence it takes to assist individuals to sustain themselves during continual deployment, family separation and relocation. As a military spouse I know the comfort of having my military member nearby, or within phone distance. With the military's support of the family there is usually the retainment of the military member. I valued his job security, his job respect, the technical achievements and personal job growth that he accomplished. There was recognition for success continually. We had interaction with his bosses and pats on the back. The family speaks loudly, firmly in the heart of the military community. Military life is about community. There are times when the outside-the-gate community should step up and recognize the importance of their military residents because of the community's personal experience, patriotic fervor or the desire for continued economic health. It is a said affair when BRAC places an installation on the closure list. Local businesses and establishments need to recognize the efforts they could put forward. They need to speak out and show appreciation, voice accolades. I would love for spouses to have the ability to have time to be a couple (one of the strongest support systems that I know of!). This support could come from local churches, chapel sponsorship, community support for Navy Birthday, Marine Birthday, or for Veteran's Day. Local news recognition that the installation is an economic stronghold for the community. Clean up the area around the gates - take down the war zone that is out there. Let the Chamber of Commerce know that zoning needs to be realized, enforced or changed. Let the authorities act or react. Embrace the installation with a fresh face! Our Navy is comprised of athletes, fit, educated computer savvy and purposed. They are ready for success and the leadership is being equipped to direct this goal. Life is a great game... not a game of chance but of stepping forward with conviction and self worth. We need to support and cheer on these athletes - it's our team and we know they are winners! The military community is facing numerous stressful events and the services, correctly, are addressing these mission impacts "head on" with programs and support for the military members and their families. Today, Lt Jennifer Cragg hosted a Defense Department Roundtable discussion with US Navy Captain Lori A Laraway, coordinator, Navy's Operational Stress Control (OSC) Program and Lt Cmdr Bonnie R Chavez, Navy's Behavioral Health Program Manager to discuss the Navy's response to a rapid increase in measured stress levels within the Navy as self reported by Navy personnel. Comparing surveys from 2005 and 2009 the Navy has seen a 16% increase in reports of stressful lives! Started in November 2008, Operational Stress Control was designed as a command/line program with medical assistance to improve sailor and family resiliency! Comparing the program to resources that world class athletes use to reach the top of their game Capt Laraway stated that sailors needed assistance to be the best possible performers. These resources include physical training, education and resources to meet stress including mental health tools. Some of the specific tools include knowing when to seek help, defeating the stigma attached to mental health issues and creating a climate that prepares sailors to help each other! Laraway said, the program guides include giving sailors, "Tools to reach full potential". Training for the program is through leadership continuum efforts including professional military education. As a line program, it provides unit assistance to help individuals focus on prevention before stress reaches the high level associated with mission degradation and conflict. It teaches personnel to recognize stress in themselves and co-workers so resources can be identified to help relieve the stress. The program is developing measurements to determine effectiveness through mission performance issues, legal, family issues, unit cohesion, morale, etc. To listen to the DoD New Media Roundtable with Captain Laraway and Lt Cmdr Chavez go to DoD Live. To find OSC resources go to Naval Center Combat & Operational Stress Control! The mission of the NCCOSC is "Building and Preserving Psychological Health for Sailors, Marines and Their Families". The services are providing resources to help! Please take advantage of all the assistance available to maintain your resilency and be successful in dealing with stress! Prevention is key. Tradition The Depths Can Be Only be Measured in Your Mind. It's traditional. And traditions in December, at Christmas time cause my thoughts to go spelunking... cave diving around the spirals of my mind. There are so many places, so many faces, so many hurdles jumped, parties attended and given, gifts purchased, cards written and received, children's programs directed and those that we were in the audience over the years. Wonderful traditions and celebrations all. The filing cabinet for these remembrances is now standing in the living room. Twelve feet tall and lit up: 2009's Christmas tree. Yeee Ha! It's up, lit and decorated. And it is beautiful. We sat last night just looking at it and pointing to our history. Each move has a marker on that tree. 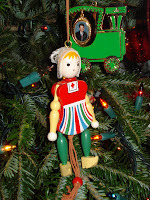 Icelandic ornaments: House on top of the world, and a wooden doll. Panamanian Ornaments that we brought home were straw animals. 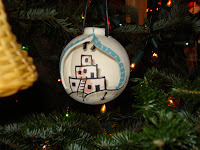 You get the idea... New Mexico, Texas, and every other station fills a spot in our hearts and is brought back to mind as we celebrate the season and friendships. I hope your Christmas, your holiday time is the best. I hope you get to share it with loved ones and friends. Merry Christmas, and Happy New Year! The best of your holiday season! USAA has been named #3 of the Top 100 of Most Military Friendly Employers by GI Jobs Magazine! That is their highest ranking ever and shows their continued commitment to support the military community with their services, products and employment! I spoke with three USAA employees this afternoon and asked them questions about the company and its employment programs that lead to the recognition by GI Jobs. John Dipiero, Howie Egbert and Brandon Harrison were kind enough to speak with me and answer my questions about their employer! John and Howie are retired Air Force and Brandon was active duty Army till joining USAA in January and is now serving with the Texas National Guard. First, just some basic facts about USAA: 7 Million Members, 22,000 employees, 12% of the employees are veterans and 7% are military spouses! The company target (which they are working hard to reach) is to have 25% of the employees be part of the military community they serve. That includes military spouses, family members, veterans, retirees, and Guard and Reserve members. Why would you want to work for USAA? John, said the bottom line is they have great products and services that support the military community and they take care of their employees. Brandon, Howie and John all praised their training programs which allow military personnel to transition to a new job and be trained for it! They have on the job training and will pay for college courses as well! Personal experience tells me that is a unique opportunity to receive quality training from an employer while in transition to civilian life! Military personnel should take advantage of Transition Assistance Programs which have become very helpful and informative according to all three! John said, "You are crazy if you don't use them." Next step is to contact USAA to find your niche! Brandon had a USAA contact who worked through resume issues and gave advice too! John and Howie were both retirees and said the company has no age issues and they felt like they were doing what they wanted to do! Brandon said the environment was more like family and allows choices within the company for lateral moves and other career options as well! All were highly enthusiastic about their jobs, the folks they work with and the company! Brandon is now a member of the Guard and felt that the company allowed him to continue serving with a flexible schedule for duty periods that were required. The company has won the Freedom Award from the ESGR (Employer Support of the Guard and Reserve) in the past for its support of Guard and Reserve members too! So if you are a separating veteran with the desire to continue serving in the Guard or Reserve this is a great company to join! Feel the enthusiasm? Want to join the USAA team? Send John an email at John.Dipiero@usaa.com to find out more information and begin that next career step! PS: Did you know that all honorably serving Veterans are now eligible to join USAA? Click on the USAA logo at the top to find out more of the benefits and why you should be a member! I have enjoyed the Christmas Season from Panama to Iceland and States all over the country. Each with it's own unique 'nitch' on the month of December. (After all I can't wear a sundress on Christmas in New York yet very comfortably did it in Panama. Snow skiing in Florida is out of the question but the mountains of Colorado & New Mexico were quite enjoyable. And we won't even talk about the very dark December that Iceland entailed.) 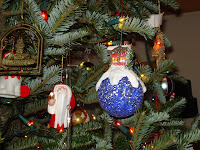 These are images of my Christmas season last year. You know what is even better about this year's Christmas Season? HUBS IS HOME! Ah life is good! I hope you are taking the time to enjoy the sites, sounds, smells and so much more of the season and not too caught up in the rush & chaos of this time of year! An 'Expert', me?! Most certainly! We all have have our 'knowledge' areas. I can tell you quite a bit about northern-Ohio as I have lived here for several years. I can also tell you a whole lot about Military Deployment and the support that you can find out there when you need it most. Why? Because I have "Been there. Done that!" If you haven't heard about Military Answers, you should stroll on over to see what questions are out there that other military-families are asking for help with. It's as close as a mouse click. BUT if you really want to help, become an "Answers Expert!" After you sign up with an Answers account (used only for MilitaryAvenue Answers, Alerts & our monthly-newsletter) you will see our list of Military Installations. Select the bases / posts that you have lived at... 2 years ago, 10 years ago, now. These are the bases you know. Maybe a little or a lot. Installations that you could help guide another military family that is looking for help. After you have selected all of your 'Expert Locations' select 'Next'. Hit 'Next' and you will see our list of 'Expert Categories'. We have quite a range of different categories from 'Military Deployment' to 'Pets' to 'Children & Family'. If there is a category that you think you could help other families with select it. There is no limit to the number of categories (or installations) you can be an 'expert' at. After you have selected the installations and categories that you can help with you are done! (That was pretty painless!) Now here comes the least painful part. Whenever a new question is asked related to an area you are an expert in you will get a very short & sweet email. If you can help with the question there is a link to click on and type in your answer. If you can't help then just hit 'delete'... and that email is no longer your concern :) Pain free and yet a wonderful way to help! There is nothing like military families helping other military families! What does PCS mean to our MilitaryAvenue Partners? Turkey in a Puff Leftovers Turkey Celebrated! Visit our Reading Room to find more relevant news! With the Thanksgiving Holiday behind us and the craziness of Christmas ahead of us it is easy to forget what we can continue to be Thankful for! Games of soccer in the family room... "Keep the ball low, boys"
4 year-older declaring "I HATE school"
"Can I help you, Mom?" "I'm telling." STOMP STOMP STOMP. "MOM, he [fill in the blank] me." Not everything about being a mom is pleasant, but it is all manageable! Children (in my case boys) bring life abundant. I am so thankful to be a mom; to be an influence; to know that I can handle what comes my way... and to know that if I ever feel like I can't handle it I have a support network behind me like no other! Turkey in a Puff LeftoversTurkey Celebrated! We always have a large crowd over for the holidays. Name the holiday - we love to entertain. When it is appropriate to have a spread with a turkey dinner... we roast a big bird... a mighty big bird! Because that means there will be enough gravy several nights of turkey leftovers. I love it. Dale loves it. We are happy people at this time of year! Turkey in a puff started out to be ham in a puff. Ham is not a family favorite, so I looked for a way to dress it up, even disguise it a bit. But to my non-ham loving children: ham is ham and the best way to serve it is to pass! So, although the ham in a puff didn't work. Turkey in a puff, (a choux pastry) vanishes when put no the table. It is pretty, it is cheesy and the turkey is tender. Love it! Bring water to a rolling boil in a medium sauce pan. Add butter, stir. Remove from heat as soon as butter is melted. Add flour all at once, stir until a ball is formed. Add eggs one at a time, stirring after each addition until they are incorporated. Stir in cheddar cheese. Spray a large casserole dish with Pam or spray oil, and put this choux around the sides of the dish, keeping it off of the bottom as much as possible. Add oil or butter to saute pan. Cook onions slowly until soft. Add mushrooms and cook 2 minutes or until tender. Take pan from heat, stir in flour and pour on stock. Bring to a boil. Simmer 2 minutes, stirring constantly. Take the pan from the heat, add the cooked turkey, tomatoes and season to taste. Set oven to hot 400 degrees. Sprinkle the choux with Parmesan cheese and breadcrumbs. Bake in heated oven for 30 to 40 minutes. Sprinkle with parsley and serve! I have to admit. I have WAY TOO MANY Christmas decorations. Not that my house looks like a gaudy gingerbread-house when all is said and done... but that in these days of craziness it takes me two or three days to get it all done. In some ways I just don't look forward to dragging it all out of the basement, setting it up and then taking it down in a month (or less). BUT I have to admit once I have all the decorations out, I can sit back and relax (between the craziness, of course), and I do truly enjoy the trimmings of the season. One of my favorite Christmas-pieces is an advent calendar my mom & dad bought for me back when our middle-child was born. It is a magnetic board with little boxes all around it. Each day the boys take their turn (one a day) at pulling out that day's magnet to put on the board. We are reminded AT LEAST that one time of day (usually first thing in the morning) what the real story of Christmas is. We talk about the stars, the animals, the inn keeper, Joseph, the story of the 3 Kings, Mary & of course the baby born in a manager over 2,000 years ago, the most important part of our little manger scene. The rest of my decorations are just that... decorations. But our advent calendar is part of the story-board of our lives. MilitaryAvenue continues to see a great out pouring of support for the military comunity! Our Veterans Day outreach was tremendous with numerous national, regional and local companies offering veterans a special on their day! We also continued to enjoy seeing all of the new ads at MilitaryAvenue! There are so many new ones and their great Military Rewards make choosing the best one a very tough job! The MilitaryAvenue team has chosen an apartment complex with a great MilitaryReward that reflects a military friendly owner and support to the military community! Thank you! If you know of a business offering a military discount tell them about MilitaryAvenue! Receive your 1st month Free and $50 off each month when you sign a 12 month lease!! Click here to view the coupon featured at Wright Patterson AFB! A special thank you to Normandy Club Apartments and all of our MAPP partners for supporting your military community with your Rewards. Homemade bread. Warm, yeasty, soft..... MMMMMMMMM. This is a timeless treasure! Dissolve yeast in ¾ c warm water. Stir in 2 2/3 c warm water, the sugar, salt shortening and 5 c flour. Beat until smooth. Mix in enough remaining flour to make dough easy to handle. Punch down dough; divide in half. Roll each half into rectangle, 18x9 inches. Roll up, beginning at short side. With side of hand, press each end to seal. Fold ends under loaf. Place seam side down in greased loaf pan, 9x5x3 inches. Brush loaves lightly with butter. Let rise until double, about 1 hour. Heat oven to 425 degrees. Place loaves on low rack so that the tops of the pans are in the center of the oven. Pans should not touch each other or sides of the oven. Make a tent of aluminum foil over each loaf. Bake 30 minutes. Remove foil. Bake 5 minutes more. Remove from oven when golden brown and loaves sound hollow when tapped. Remove from pans. Brush loaves with soft butter; cool on wire rack.Makes 2 loaves. Thanksgiving is this week! My favorite holiday of all of them. They will celebrate your abundant goodness and joyfully sing of your righteousness. This year we are travelling to see my family. We are on the two year rotation. Two years here at home with Hubs family and then the next two at my parents house. I love travelling out to see my family and staying a couple of days. The only thing I struggle with is keeping my boys 'entertained' away from their usual toys, friends and routine. Pinecone Bird-feeders. My 7-year old made them with Cub Scouts a couple weeks ago and to my delight the birds have been on it non-stop since we hung it. I am going to send the boys (my sons & nephews ... my 8 month old niece will have to entice her dad into helping her) into the woods to collect pinecones. The birds can enjoy their own Thanksgiving Feast when we are done with our project. Have the kids gather up the largest pinecones they can find. While they are out whip the peanut butter and shortening together with a mixer. Place newspaper over their working surface. Have the hot chocolate ready because when they come back in with a bag of pinecones they will be cold; hot chocolate and marshmallows will surely add to the fun of this project. 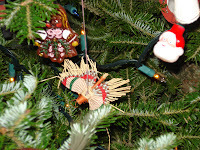 Tie a piece of yarn or rope at the top of each pinecone. Give each child a plastic knife and have them spread the peanut butter / shortening mix over all of the pinecone pieces (This part usually takes some help from a mom, dad, uncle, or aunt. Someone who is not busy in the kitchen preparing a people-Thanksgiving feast.) Get the mixture deep into the crevices so that the birdseed sticks all over. After the pinecones are reasonably covered with the peanut-butter mixture place the pinecone in a paper bag, shake bird seed in the bag and then close the bag up. Have the expert bird-feeder maker shake the bag up really good. Pull the pinecone out by it's rope and prepare to hang your bird feeder. I hope your area's birds can enjoy their own Pinecone Thanksgiving feast. PS: Looking for other "Minutes Out of the Norm"? Check these out. A Simple Gift to Make That Looks Good! At thanksgiving time, I like to have something set up for folks to do wile either waiting for the turkey to fill the house with that undeniable, wonderful aroma ... or to do while waiting for that undeniable FULL feeling to fade. We have put together simple quilts, sewn up patchwork pillow cases, made Santa faces out of magnolia pods and even painted tree ornaments. All were fun and a bit challenging. I think being artistically challenged allows us not to go for perfection... but allows us to be perfectly content! And after a large meal... being content is a good thing! This year we will be putting together a candle. Even though I have boxes of paraffin to use, not this time. This one is a simple votive with a bit of flair, and is about a 5 minute job. 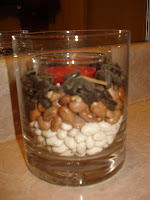 Dried beans or seeds - a variety of 3 is nice. If there are several of you doing this... write the artist's name on the bottom of the outside glass or tape it on the bottom. Place the glass votive holder inside the larger container. 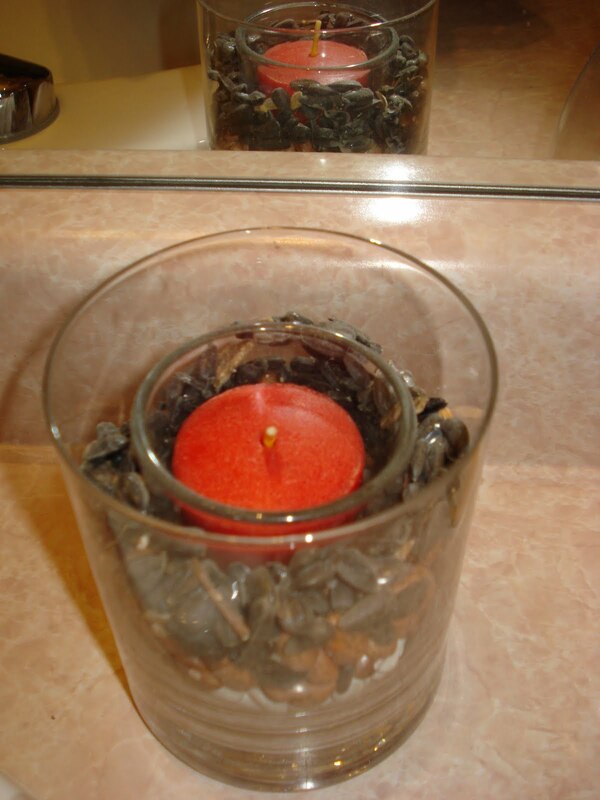 Put the candle in the votive holder. Gently stuff the top of the votive holder with the tissue. This is to prevent loose seeds from covering the candle. Now start with your first layer of seeds or dried beans. Add another layer of a different color. Top with another layer. Now drizzle the white glue over the seeds/beans. This will hold them in place. Remove the tissue and THERE YOU HAVE IT! This is a craft that is instant gratification and is really pretty! A Very Happy Thanksgiving from our military-family to yours. I took an informal poll of what you, the military family, are thankful for this year; then I compiled those answers with my own thoughts. Wishing each of you and yours a wonderful Thanksgiving! My husband. He spent a year in Iraq and was with us only in-heart last Thanksgiving. Distance somehow made our hearts grow fonder. Love that does not dwindle but only seems to grow. Reunions. Between a husband and wife; a son and parent; a grandchild and grandparent. What a blessing a supportive family is! I am thankful for my Mom. We talked about leaving a legacy one morning amongst women sitting around sipping coffee. What kind of legacy will I leave? My legacy starts with my mom. The values she taught me. The relationships she instilled. The hardships she faced with gusto. The joy she found in the every day. I am thankful for culture. I grew up in 9 states and 2 other countries. I went to schools on military-bases, in the mountains of the Adirondacks, on the rich side of the tracks, on the poor side of the tracks. I can only pray my own children find diversity in their life like I have experienced. I am thankful for stability. I have lived in this same house for 8 years. I've watched neighbor kids turn from preschoolers to teenagers, my own children had cribs in bedrooms that now have bunk-beds. I am thankful for my dad. His laugh, his hard-work, the way he loves my mom, the way he plays with his grandkids. Nephews and nieces. I have four (& one on the way! ); Most live far away, one lives a city away. I know the love I have for them is not divided, but multiplied. Quiet Moments. Moments that are just for me. Craziness - and as a family of five we have quite a bit of it. Because if my life was filled with only 'quiet moments' I'd go a bit stir-crazy! I am thankful for Thanksgiving and the pressures that ARE NOT associated with it; just a wonderful meal with family. I am thankful for cars, gas, transportation. The ability to travel hours away to see family, the ability to hop in the car to pick up groceries. The ability to worship where I chose. We have settled into a church I can call home. What a wonderful country we live in! I am thankful for books & the education I have received to be able to read that book. What a wonderful ability to dive into a book for pure pleasure! Friends. Friends from my past, friends in my future, and friends of today. I am thankful for Technology! Vets of World War II & Vietnam will tell you about not being able to communicate as easily or quickly to home. My 4 year-old. He is our third-son and is amazingly so very different then his older two brothers. I can't always figure out what makes his brain tick ... in fact, of all the boys he is the hardest to 'read'. Oh how I love him for his differences. Balance. Sometimes life feels like a circus-act but there are people all around me (especially my husband) to keep me balanced. My garden and the fruits of my labor. My teenager, 15 years old. He is teetering on adult-hood and the embodiment of boyhood. Laughter... with my brothers, with my sons, with my husband, with friends. Good wine. Good Food. Good Friends. My 7 year-old, *E*. There are about 9 years difference between him and his teenage brother (my step-son). In many ways *E* is an 'oldest-child'. I am the oldest, my dad is the oldest. I love watching his personality take shape and seeing "birth-order" influence him. I am thankful for Sailors, Soldiers, Marines, Airmen and the Coast Guard; their wives, husbands, children, and parents; supporters who know them and the supporters who know of them. I am thankful for the freedoms they defend. All of the family they leave behind. And the future they are ensuring for my own children. What are you thankful for? Whether family is near to you this Thanksgiving season or oceans and worlds apart, I hope you find the time to make your own list of 'Thanks', mentally, pen and paper, or electronically (like a comment on this blog!). The Taste of Home. There is a magazine with that name, there is also a mindspot that is so real it opens floods of memories. A taste of home brings our matriarchs, patriarchs and local chefs right there to the senses, all of those senses can be activated... just by the thoughts of tastes that are not at our fingertips. We all have them. Some are horrible experiences, lessons learned, laughter shared and ribbing taken or given. Then there is the images of visual dinner gatherings, and items that should just be there on the table...a favorite of someone from a recipe learned from somewhere... memories. These memories are such a rich, seasoned and stimulatin g part of our psyche! When these foods are tied to a place, time and person the dynamics are such a good read. Sharing a recipe is a way to invite someone to see a glimpse, a facet of a life spent with loved ones. Sit back, close your eyes, breath in the memories and then share it with your military family! What comes to mind, while you are away from home: deployed, separated by miles and miles, stationed in a different time zone or continually on duty and not able to walk in the door or sit at that table that gave comfort to you. Post your picture with this recipe. That image adds packaging to your gift of a sweet time. And thank you in advance! Go to http://www.militarycookbookproject.com/ and add another page to this book of memories! We had a powerful week at MilitaryAvenue.com. The outpouring of 'Thanks' for our US Military Veterans was amazing. The concern for our Fort Hood families was overwhelming. Job opportunities for veterans, law changes for military spouses, and so much more... news that is posted on MilitaryAvenue every day. Military-Bloggers (Spouses, Girlfriends, Supporters, you get the jist...) What are you Thankful for? What are you Thankful for as a military-family? Leave a comment ... Write a blog about it and let me know ... Next week I'll compile in a special Thanksgiving blog post (with links!). I have to take this opportunity to thank all of the companies out there that did a fabulous job of honoring our veterans yesterday (and throughout this month in some cases). Last night was crazy busy for us. As soon as *E* got off of the bus we headed to the dentist for the boys 6 month-checkups, then it was off to dinner across town and finally to friend's house for our weekly 'get together'. I mention dinner because we could have *easily* done a slow-cooker meal and popped home between the dentist and small-group. BUT I knew a number of restaurants in our area that were honoring our Veterans and I wanted them to know I appreciated it! So we headed to Outback Steakhouse. It was a draw between Applebees and Outback for us but I just can't pass up a free Bloomin' Onion :). We sat down, got our drinks ordered, and then we mentioned Hubs is in the Army, so that we could partake in their Veterans Day special. Our waiter perked up and said he is also a veteran. He was stationed in San Diego with the Navy for quite some time. It felt good to look at him and say 'Thank you for your service'. We sat (well the waiter stood) there for about 5 minutes talking about all the family we have in the military. Some on boats, some in the sand, others enjoying retirement, and some just starting the thrilling world of military-service. What a rich heritage we come from. BTW last night at Outback Steakhouse someone picked up the bill for our family of four! Gratitude, I am filled with gratitude! 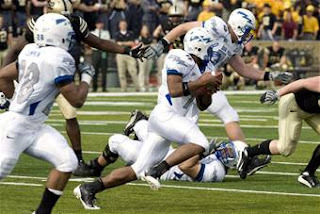 Leave a message of support for our military and families at http://facebook.com/MilitaryAvenue. Take a Veteran out to eat; whether it is a fast-food chain or a fine-dining establishment. Tell them why you are bringing them out to eat. Are you a knitter or crocheter? Make a scarf for the cold-winters ahead. Donate them at a local-VFW for a veteran in need or contact Operation Gratitude to see how to donate. Listen to their stories with interest. If they are a war-veteran they have seen things you will never see. Listen and Learn. Call and Visit a local nursing home or VA Hospital. Find out what you can do to help. If you quilt make a blanket for a needy veteran. If you bake call and find out if you can bring in something special. Bring a book to read to a veteran "ready and willing" to listen. We all have talents that can be used. Send an 'E-Card' through the American Legion to the Veterans in your life that use email. Military-member at the same restaurant as you? Send them a drink or pay for their dessert. Is there a disabled veteran in your neighborhood? Help with the raking of his leaves or shoveling her driveway. Do you bake? Make an Apple Pie or another specialty and bring it over to a neighbor-veteran. Don't forget to grab a box of ice cream to take. Now I'm hungry! Own a business? Hang a sign and invite all veterans in for something free. A cup of coffee, a flower, a massage. Something you can give from your inventory to show your gratitude. Do you quilt? Make a blanket for a retiring service-member. It will be a keepsake they treasure. Employers: Host a special luncheon for all of your veterans. Recognize their service to your company & your country. Call them. A grandparent, uncle, aunt, mother, father. Take the time to call them, especially if they live far away, and find out how they are doing. Send a note to your local school to urge the teachers to discuss Veterans Day. Visit Veterans' Day Teacher Resource Guide for some tips. Find Military Discounts in your community. Nearly 40 percent of our veteran population is 65 or older, give a veteran your phone number and ask them to call if they need help around the house. Make a note to call them this winter to see what they need. Have your children paint a picture or write a letter. Send it to your grandparent, parent, aunt, uncle, brother, sister, any relative that is a Veteran. Greet them on their special day with a smile and a thank you. Remember Veterans during other holidays, especially those without family. Send a Thanksgiving card, Christmas card or Valentines card, to either a Vet that you know or through a VA Hospital or VFW. Teach your children a patriotic song, like America the Beautiful or the Star Spangled Banner. Instill patriotism early. Employers: Give the veterans in your company a paid afternoon off on Veterans Day. Teachers: Invite a Veteran to speak at your school, in a class room or to the entire school. Pray for them and their families, every day. Start a Drive: Ask local businesses to participate in a drive for local veterans or deployed service-members. Clean out your closets and contribute gently used household goods to Vietnam Veterans of America. Do a random act of kindness for a vet or their family. Remain anonymous. Open up your house on Thanksgiving or another holiday to a few veterans (active-duty or prior-service) that don't have any family in the area. Make it a holiday none of you will forget. Help a deployed single-service member by taking care of their pet while they are gone; get involved with a Pet Foster Care program. Invite a few vets and friends over on Veterans Day and celebrate their service over beer, a football game, movie or game of pool in the basement. Participate in the 'Thank a Veteran at Work' program from the History Channel. Did a veteran in your neighborhood just come back from a deployment? Send them a card of 'Thanks'. Tell your Veterans friends & family about MilitaryAvenue.com. They can find businesses in their area that recognize veterans year round with Military Discounts. Visit your local USO. What do they need? A monetary donation or a gift of your time? Subscribe - Monthly military-discounts & incentives right to your email. Fly your flag 365 days of the year. Don't forget to lower it when appropriate. Teachers: Have your kids write short articles of how veterans are honored around the world. And if you know any veterans locally, propose that your kids interview them about what it's like to serve in the U.S. military. Hear the National Anthem playing? Stop what you are doing and think about the sacrifices of our US Military. Wear an American flag on your clothing. It's a small way to say, "I am proud of my country." Introduce your children to VA Kids, from the Department of Veterans Affairs. Do you scrapbook? Make a Scrapbook a page or a whole book honoring a service-person. Journal about how proud you are. Add the pages to your own family's history. Have a pot-luck, at church or a banquet hall, for a group of local veterans. Invite the community to participate. Vote. Don't let them sacrifice for naught. Be a good citizen and do your part to protect the freedoms our service-people have fought and died for. Dedicate a patriotic song in a veteran's honor on the radio. Tell your children all about your Veteran-grandparents. What made them special and what they did as a Veteran. Pass on a legacy. Spot a DoD sticker on a car in the parking lot? Leave a note of Thanks. Pass out small flags around your neighborhood in honor of Veterans Day. Give them a big smile as you walk by, sometimes that is all that is needed. If you see a veteran with an old flag on their pole leave them a new one, with a note of thanks for their service. Visit a veteran's grave. Even if you simply stand there for a moment of quiet reflection, you're honoring their service--and you're rededicating yourself to the freedoms we enjoy as a citizen of this country. Find out which businesses in your community truly support veterans and the troops; become their customer. Teachers: Teach your children about the history of Veterans Day by having them create a time line of events leading to the observance of the holiday. 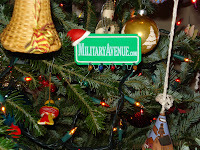 Find MilitaryAvenue on Twitter and Facebook! Do you know the mom or dad of a veteran? Thank them for raising one of America's Heroes. Go to your local VFW ask if you can make a donation, either by money or donation of your time. If you have a family member that serves in the armed forces you could make a donation in there honor. Teachers: Take the time to write letters to veterans thanking them for their service. A great opportunity to talk about citizenship (& practice their handwriting). Call your local USO, VFW, or VA Medical Center to have them delivered to. Know a veteran that will be flying soon? Give them your upgrade coupon for their next flight. Order a shnazzy t-shirt or perhaps a tie that shows your thankfulness. Have one sent to a veteran in your family. Take the time to read 101 Ways to Say Thank you to a Military Spouse. Thanking the Spouse is a Thank You to the Veteran. During a family reunion recognize the veterans in your family. A special toast or a big family "Thank you!" Find out how you can help with a Community Service Project through your local VFW. Organize a group (boys scouts, girl scouts, classroom) to write letters to veterans. Bring the letters & cards to a local nursing home to be delivered to their vets. Support our troops this holiday season via 'Red Cross Holiday Mail for Heroes' program. Find out more here. Read some of the veterans' stories at DAV Charitable Service Trust. This is just a small sample of the sacrifices our service-members have made for us throughout the generations. Is it still warm where you live? Treat a veteran to a round of golf on Veterans Day or the weekend before or after. Make a tax-deductible donation to 'Books For Soldiers'. They send books and other care-packages to our deployed service-members. Help a veteran with projects around his or her house. Patching a leaky roof, moving heavy rocks or rearranging the living room furniture is easier for the 20-somethings than a 60-somethings. Make a lunch date: Take your veteran-colleague out for lunch. Learn to say Thank You in sign-language. The Gratitude Campaign. Take pride in our history, in times of war and peace. Do you know the history of Veterans Day? Ask your company to put a flag out. Offer to help with raising & lowering the flag, it's not beneath you. Offer to take a veterans dog for a walk. Invite them to come along with you if they can. Know a veteran's hobby? Send them a subscription to a related magazine. Offer to babysit for a veteran-military family. Let the husband and wife get out together on Veterans Day or over the weekend. Perhaps it will be a great opportunity for them to reconnect after a deployment. Contribute your time, talent or money to Fisher House™ Foundation, "comfort homes," built on the grounds of major military and VA medical centers. Get involved and send a service-person a care package. Go to http://www.soldiersangels.org/ for a list of organizations with projects to support servicemen and servicewomen and their families. Donate your airline mileage to the Hero Miles program. Business Owners: What kind of Veterans Day special are you having for your Veterans? Is it from the heart? If you meet a veteran on this Veteran's Day, or any day, just say thanks. They served you, and this nation, well. To truly honor our veterans make the best of the opportunity the sacrifices of our fighting men and women have provided. Love your country with passion, and do what you can to make it a better place. On this Veterans Day the MilitaryAvenue Team would like to wish all of our veterans a very Happy Veterans Day! Thank you for serving your country with pride. In a continuation of information sharing about the H1N1 virus the Department of Defense New Media Directorate held a second Roundtable Discussion this morning. The discussion centered on the outbreak of H1N1 last July at the Air Force Academy among new cadets arriving from all 50 states and several overseas countries as well. On June 25th 1,500 new cadets arrived for training and on the 4th of July there was a large social event in which all participated. The virus spread during this time frame and eventually during the month long period there were 134 confirmed cases and 33 suspect cases of the flu (about 11% of the freshmen cadet population). The Academy medical staff was augmented with a team of experts to determine appropriate actions including isolation and other public health measures. They also conferred with the CDC (Center for Disease Control). By July 25th the widespread attack had ended but there are still occasional cases of the flu similar to the civilian population. The flu did not spread beyond the initial population group due to the measures taken and was determined to be a very mild version of the flu with no hospitalization required for any of the cadets. (My note: This would be a very healthy group of individuals and does not mirror the general population). The Academy has continued with many of the same public health measures they instituted to avoid a resurgence of the illness. 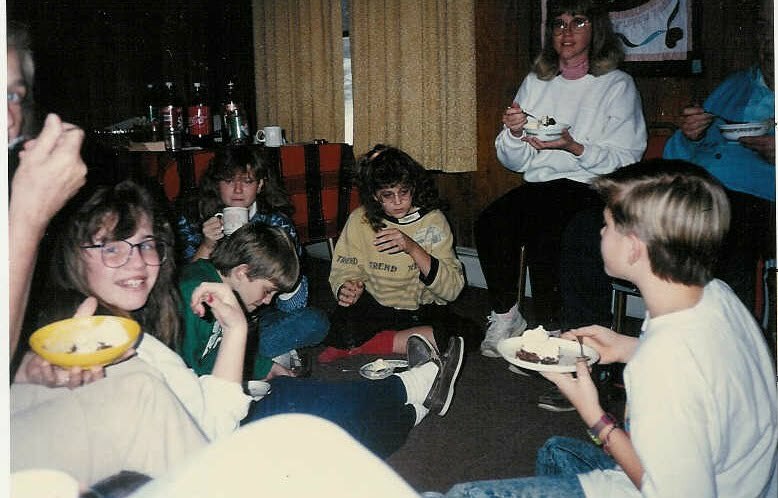 These included frequent hand washing, availability/use of hand sanitizers, isolation in their room during illness and public health announcements (including email) to the cadet and staff population. 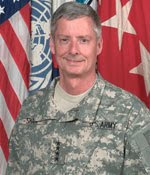 Colonel (Dr) Ken Knight, the 10th Medical Group Commander, stated that many lessons learned were shared with the entire defense community and that the CDC was a great resource! He said the key during any outbreak was communication and that the appropriate commander (or civic leader) in any location had many difficult decisions to make. The Academy canceled a downtown event during the outbreak to prevent its spread off campus. The leadership also had to continue the training mission and make the right health decisions at the same time. Civic leaders face the issue of school closures and other measures in locations where the population reaches a certain level of absences as it has in our Michigan local area. Col Knight said that none of the cadets had been vaccinated yet as they are still waiting for their doses of vaccine. They will receive theirs within the DoD priority system and expect them in 2-3 weeks but the national delay is affecting them too. When they receive the vaccine all cadets will receive an inoculation. Thank you to Col (Dr) Ken Knight, 10th Medical Group Commander; Lt Col (Dr) Catherine Witkop, Preventive Medicine Physician, 10th Medical Group and LT (US Navy) Jennifer Cragg, New Media Directorate, Office of the Assistant Secretary of Defense for Public Affairs for providing this opportunity to meet and discuss this topic! For further information on the medical study go to Novel Influenza Outbreak at the U.S. Air Force Academy written by Lt Col Witkop and her team.